Things are sometimes better in threes. 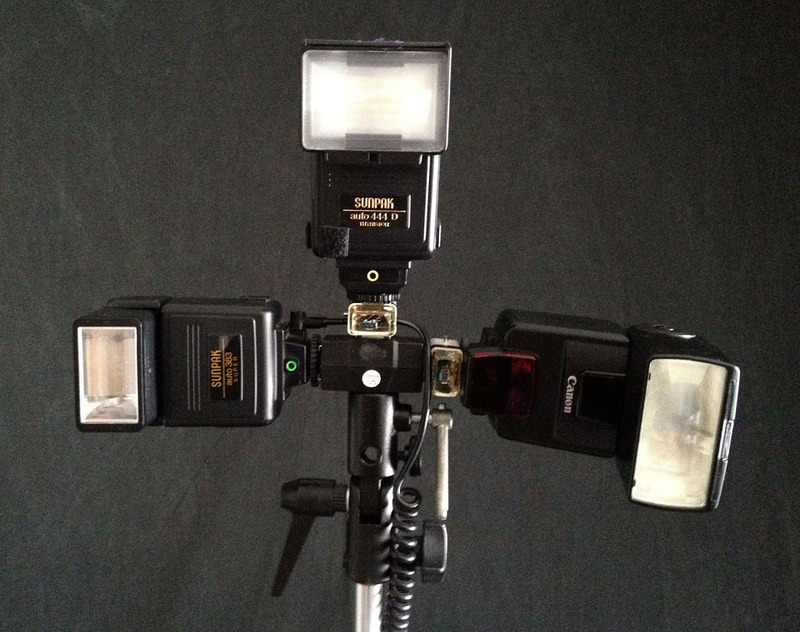 Three flashes on one lightstand; three exposures on one frame. Yes, this week I'm talking about multiples. I cover the Adorama Triple Shoe Adapter that costs less than $20, but allows you to put three flashguns on one lightstand. By doing so, you can increase your output while cutting down on the amount of time the flash takes to recycle. I also cover working with in-camera multiple exposures. My sample shoot is with the Pentax K-5 DSLR. But this technique works with any camera that can accommodate multiple exposures. I like the K-5 because it allows for up to nine images on one frame. For my example, I photographed the lovely Alyssa in three different poses. You can see the image and read more details about the shoot in the post, Multiple Exposure Model Shoot with the Pentax K-5. I guess you could say that this week's show is triple the fun. You can also download the podcast here (28 minutes). Or better yet, subscribe to the podcast in iTunes. You can support this podcast by purchasing the TDS iPhone App for only $2.99 from the Apple App Store. Family is the Dec. 2011 Photo Assignment. You can read more about how to submit on our Member Participation page. Deadline for entry is Dec. 31, 2011.